At ProSource® of Buffalo, our showroom staff helps trade professionals and their homeowner clients find the best flooring that complements their project needs. We offer a large selection of carpet, hardwood, laminate, tile and vinyl that are bound to fit any preference. 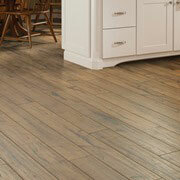 Your dedicated account manager knows the flooring of a home needs to be both decorative and functional. Let us help you find an option that fits into the scope of everyday life while maintaining your personal design preference (and budget). 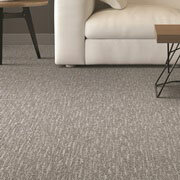 At ProSource of Buffalo, our top-notch selection boasts carpeting that is both comfortable and durable. We have a wide variety of carpet textures, colors, and brands, all in numerous styles, such as loop, frieze (shag), berber, plush, and more. Our hardwood flooring selection is boastful in size because we know this type of flooring is a popular choice. 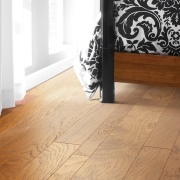 Hardwood is versatile, and it can take on many different looks and styles. Our hardwood displays showcase the best and most trusted brands in the industry. Let our team guide you to the perfect wood species and color for your project. Laminate is a budget-friendly type of flooring, and it can replicate the elegant styles of wood such as maple, cherry and hickory, along with tile or stone. We only display laminate from the leading manufacturers in the industry. Tile flooring has a broad scope of uses, giving it the opportunity to add a sense of timeless beauty to a room. It’s most commonly seen in bathrooms, kitchens, and other rooms prone to spills and stains, but the room options may have no limit. Vinyl is an economical and resourceful flooring option, and it is often used to mimic the appearance of hardwood or tile. 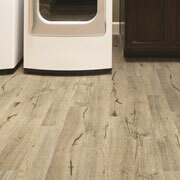 This ever-popular choice includes sheet vinyl, luxury vinyl tile (LVT) and luxury vinyl plank (LVP). 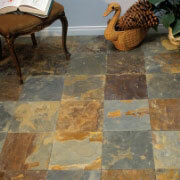 Visit our showroom to see our many colors and types of vinyl flooring.